Compare the most secure, stress free and efficient Heathrow airport parking from just Avg. £7.57 per day or £52.99 per week. Heathrow airport has a wide range of parking options, including meet and greet, Off-airport parking (park and ride) services. Explore the hassle-free parking for terminals 2, 3, 4 and 5. Either you are looking for long term or short term, Pre-book through Simply Park and Fly and get up to 70% OFF. Find the secure Heathrow airport parking deals with Simply Park and Fly for terminals 2, 3, 4 and 5. Whether you are looking for cheap, long stay, short stay, meet and greet, park and ride or business parking, you'll find the hassle-free Heathrow airport parking at unbeatbale prices. Please make sure to book your Heathrow parking space as early as possible to get the cheapest Heathrow parking. There are a lot of different car parks to choose from. So, doesn’t matter what’s your budget, you'll find the reliable car parks. It is advised that you compare all parking services before choosing your package for Heathrow. This would result is you getting the best possible price for your parking while also insuring the most convenient spot as well. Compare your car park with a lot of options, all are the leading in Heathrow airport car park service providers. Simply Park and Fly is a notable name within the airport parking community, providing trustworthy, assured and cheap airport parking services. You can even get up to 70% OFF of the gate price at Heathrow airport parking. You can see for yourself with best price guarantee. If you're looking for a reliable and fast way to park at Heathrow airport, look no further than Heathrow valet parking (meet and greet parking). If you're weighed down by heavy bags it will be perfect for you, travelling with little ones it will be perfect for you or just want to make a quick getaway it will be perfect for you; the service is available at all Heathrow terminals and really takes the hassle out of parking. Meet and greet parking service is what you are looking for– and it could be cheaper than a taxi. There are different types of parking that are usually available at the airports, like on-site parking, off-site parking and meet and greet (valet) parking, so you need to figure out which service would be convenient for you. Usually the meet and greet parking is most convenient. It would cost you a little extra but it’ll ensure you the safety of your car and less hassle would it be for you, meet and greet at Heathrow is more budget friendly for customers and more convenient. The airport guarantees secure parking and that on very affordable rates. There are a number of parking options available at Heathrow airport and you get really cheap parking services. The long stay meet and greet is ideal for longer trips and with regular transfers to the terminals; it makes cheap parking a breeze for any traveler. Short stay meet and greet parking is all about convenience – it is right next to the terminal, perfect for short trips and for picking up or dropping off the passengers. There are great advance rates available too. With cheap Heathrow meet and greet parking service, you can make your trip hassle free and in the budget. This is convenient and secure and a parking service that is loved by the customers. You won't regret availing this service and if you pre-book your parking place online. Book your parking early to save yourself money. There are a lot of Heathrow meet and greet packages available for pre-booking. The earlier you book your Heathrow meet and greet parking, the more you are likely to save. Ace Parking Meet and Greet Heathrow, Drivefly Meet and Greet at Heathrow, Executive Park and Fly - Heathrow Airport, Terminals Parking - Heathrow, Findout the best Heathrow parking option as per your needs. Park and ride means you will drive to the parking area (yard) and park your car by your own, you will leave the keys at the reception and service provider's bus will bring you to the airport. Buses run on demand to the Airport. The another name of Heathrow park and ride is Off-site Heathrow airport parking. Park and ride service is the second best option for Heathrow airport parking. If you're looking to avail the Heathrow park and ride service, you need to keep a few things in mind and fully understand the package before choosing it. Of course it comes with a lot of advantages that may help you save good money on your airport parking. Since with Heathrow airport park and ride, it is essentially you who has to park the car, there is no dissatisfaction present with someone else parking it for you. Though you have to realize that this is the busiest airport in the world, which is why you are going to have to be vigilant while booking your services. It is therefor best to book well in advance to be able to park and ride at Heathrow airport without having to face the inconvenience of shortage of parking spaces. There is a shuttle service that runs around the clock which can be used to take a ride back to the terminal which will effectively cut back on the time and effort you otherwise would have to exert on foot. Simply park and fly is proudly one of the cheapest park and ride at Heathrow airport but you will find no deficiency in services as there is a constant effort to improve quality. The park and ride option is specially suited for those who are travelling on a budget and do not mind putting in extra effort to lower the expenditure. Though this does not mean that the service will not be up to par, you will find the parking space more than secure for your car. The parking facility has been specifically designed keeping the security of your vehicle in mind so you can rest assure when booking the park and ride service at Heathrow airport. Due to the large size of the Heathrow airport, travelers have to make sure that their parking spot is booked. It is also easy to get lost in the huge area of the airport and this is specially a problem if you have friends and family with you. If you’re still looking to save some money, Heathrow airport one-way meet and greet would seem like a viable option. There are many advantages to choosing the meet and greet service. For one, you wouldn’t have to worry about your family or friends getting scattered at the airport as the chauffer will park your car for you. This is most likely because of the size of the airport being huge. One-way meet and greet also gives you the flexibility to enjoy the meet and greet service and still not put a strain on your parking bills. Are looking for the maximum comfort while picking or dropping someone from their travels? The best option for you would be the short stay parking areas. These areas are present at 2,3 and 5 terminals of the Heathrow airport and are one of the most convenient ways to get to your flight or come back from it. For a 5 hour stay, the Short Stay car park is recommended. Heathrow airport short stay parking is also available for independent car parks which do not have this requirement. Although these would be at a distance, it is best to know of the options. This is for those who want to spend more than a few days for their travels. For them the best long stay Heathrow parking service would be Heathrow’s own three car parks with excellent security service. You can get the free courtesy coach service at terminals T2, T3 and T4 for passengers going to or coming back from the terminal. This service will be available 24 hours, round the clock. If you want to avail off-airport parking you can go for Purple Parking which has a vast area and the capacity to hold 13,000 people. You also have other options for off-airport parking and these can be quite cheaper as well but at the cost of greater distance from the terminal. There are bus services you can avail though but you would have to keep an eye out for it. So if distance from the terminal is an issue for you, it is recommended that you choose the parking that is closer. Being the latest certainly has its perks and this is also true for terminal 2 at the Heathrow airport. With an all new Heathrow car park at terminal 2, passengers now have even more space to park their cars during peak travel times. The building has been designed by Spanish architect Luis Vidal and you can certainly sense the elegance in the designed of the structure. Not only elegant, the terminal is very functional as well, passengers will be satisfied with their experience. The new structure can be further marveled upon if you choose the Heathrow meet and greet parking for terminal 2 as you will get more than enough time to enjoy the services offered within the premises. That is not to say that the terminal 2 park and ride service is inferior, as with the addition of a shuttle service, convenience is always kept in check. In fact some would argue that the quality of your experience might prompt you to choose the Long stay car park for terminal 2. Being the biggest airport in the world certainly holds a lot of responsibility on the shoulders of the administration as size should not outweigh quality. Thankfully due to constant upgrades the Terminal 3 at the Heathrow airport is designed to meet the demand of the modern-day traveler. The new plaza equipped with many things would want you to choose meet and greet service for terminal 3 at the Heathrow airport so that you get to spend more time exploring the new things the terminal has to offer. Though if you were to choose the park and ride service for terminal 3, the Heathrow car park will prove to be more than efficient to fulfill your airport parking needs. This is specially true whether you choose the short stay or the long stay parking for Heathrow terminal 3 because the terminal has been designed to meet with an increased number of passengers. If you're looking to enjoy your airport parking experience, then the Heathrow meet and greet terminal 4 is a service you would want to keep in mind. You will be able to experience the many services offered at the terminal as your car is being parked by the chauffeur for you. Even with the park and ride service for terminal 4, you will get ample time to spend at the terminal with your friends and family as you can catch the shuttle service from the parking area to the terminal. The car park for terminal 4 at Heathrow has 24 hours surveillance with security guards present throughout the day to ensure the safety of your vehicle. You will enjoy your short stay service at terminal 4 as it has been recently upgraded with a budget of £200 million, allowing it to accommodate a maximum of 45 airlines. Terminal 5 might just be the highlight of the entire Heathrow airport. Though having a rocky start, the terminal built around a £4.3 billion budget has solidified its footing at the airport. The park and ride service at terminal 5 might actually be a delightful experience for passengers as they get to park at the multi story parking building that has been built to tackle the ever-growing number of passengers. Such a structure also makes it a more viable option for long stay parking at Heathrow terminal 5. But the car park isn’t the only highlight at terminal 5, there are many other things you will come to appreciate at the larger terminal in comparison to others. And surely choosing the meet and greet service for Heathrow terminal 5 will give you ample time to venture around as the responsibility of parking the car will be taken over by the chauffeur. Heathrow airport busniess parking is recommended for those who are to make a trip related to work. The parking spots are much closer to the terminal than the long stay car parks which is why it is also suitable for those parking for several days. 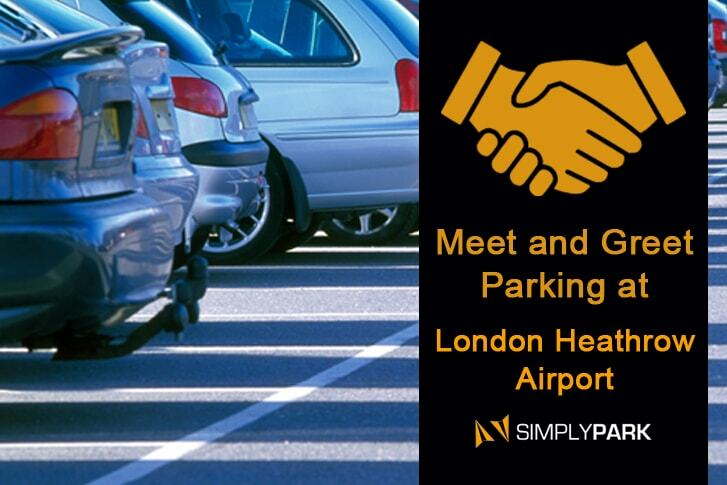 It is better to make an online booking with the best airport parking comaprison websites like, simplyparkandfly.co.uk. This is basically the bus and shuttle service which runs based on demand at the Heathrow airport. It is primarily for those who have chosen long stay parking with their parking spot being at a distance from the terminal. You can avail the bus and shuttle service free of cost. The airport occupies 1227 hectares of land and is the busiest airport in the United Kingdom. It serves to 184 destinations in 80 countries, with its consumer base growing rapidly every year. Not only the busiest, Heathrow airport is also the biggest airport in the UK generating formidable income every year. The airport employs 60,000 workers who work to make sure that you receive all your needed services. It a complete package for those looking to travel in style and luxury. All service providers follow strict standards when handling customer vehicles. They hold fully comprehensive insurance policy and have secured car park compounds with barriers (normally 6m-7m away from the airport), 24 x 7 staff, access control and more. All service providers listed here are registered businesses with the permit from their respective local council. The drivers are fully insured to drive any kind of car. Reseve your car park at Heathrow with the best heathrow parking service providers.